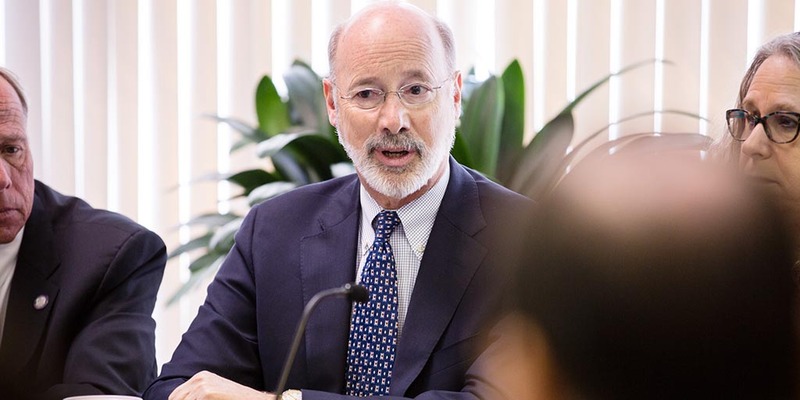 Harrisburg, PA – Governor Tom Wolf announced today that the departments of Drug and Alcohol Programs (DDAP) and Human Services (DHS) have awarded $15 million in federal Substance Abuse and Mental Health Services Administration (SAMHSA) grants for a new program to provide case management and housing support services for Pennsylvanians with an opioid use disorder (OUD). The pilot programs will support innovative practices that increase access to support services for individuals with OUD, keep people engaged in treatment and recovery, and help prevent overdose-related deaths. First announced in October, the program will direct the $15 million through 16 grant agreements that will assist urban and rural counties throughout the commonwealth. The pilot programs will assist individuals as they become and remain engaged in evidence-based treatment programs and will provide individuals with support services such as pre-tenancy and tenancy education services to maintain stable housing. SAMHSA has distinguished four major dimensions that support a life in recovery: Health, Home, Purpose, and Community. This project aims to support two components of the dimensions – Home and Purpose. By giving an individual a stable, safe place to focus on their recovery, paired with the independence and self-worth that housing provides, an individual’s overall health and wellbeing is greatly improved. Housing instability, combined with unmet basic needs, makes the road to recovery and independence extremely challenging. According to national data, about one in five people experiencing homelessness has a chronic substance use disorder. This aligns with information gathered from Pennsylvania’s 45 state-sponsored OUD Centers of Excellence, a majority of which identify housing as a major barrier for their clients. The grants are made possible by the $55.9 million SAMHSA grant secured to bolster the state’s response to the prescription opioid and heroin epidemic. Additional initiatives included in the grant are focused on expanding services to pregnant women and veterans affected by OUD, developing the treatment and recovery workforce, and strengthening criminal justice and law enforcement initiatives with a focus on reentrant supports. Find more information on the state’s efforts to battle the opioid crisis here.